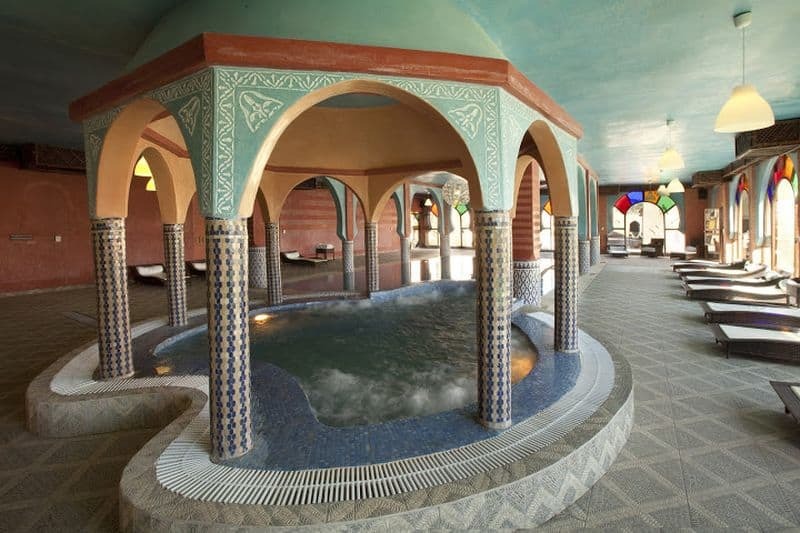 Marokko ist magisch. 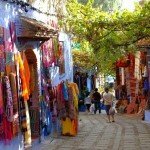 Marokko ist touristenfreundlich. 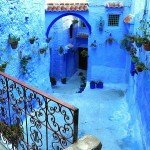 Und Marokko ist ein Land, das mit seinen unglaublich vielfältigen Landschaften, seinen weitläufigen grünen Hügel, und schneebedeckten Bergen, den geheimnisvollen, roten Sanddünen der Saharawüste begeistert und all dies in einer Farbenpracht und auf unterschiedlichsten Strecken, die für Motorradfahrer jeglicher Couleur ein Traum sind. 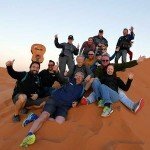 Auf dieser IMTBike -Tour besuchen Sie die größte Altstadt (Medina) der Welt, erobern Kasbahs und Oasen und haben die Gelegenheit handgeknüpfte Teppiche zu kaufen, Minze-Tee zu trinken und in den Sanddünen der Sahara bei Sonnenuntergang auf einem Kamel zu reiten. 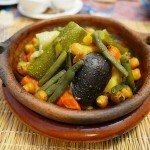 Speisen Sie typische schmackhafte Couscous-und Tajine-Gerichte aus Lehm gebrannten Schmorgefäßen. Mit einem glücklichen Lächeln werden Sie auf sehr gut ausgebauten Straßen mit Kehren und traumhaften Kurven die Bergpässe hinauf in die Hochebenen fahren und sich auf kurvenreichen Strecken wohlfühlen. 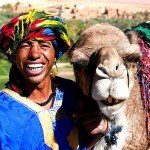 Marokko ist wirklich eine magische Reise! 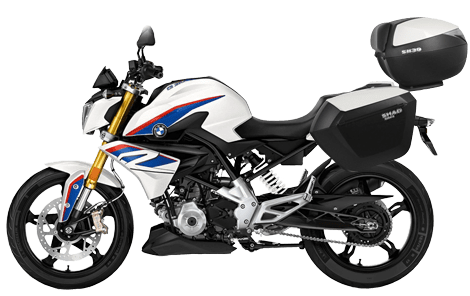 Tagesstrecke 250-350 km / 160-220 Meilen. 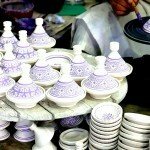 Highlights: Chefchouaen – Dorf mit blaugetünchten Häusern im Rif-Gebirge, Fez Medina Tour, Erg Chebbi Sanddünen, Marrakesch mit Besuch des zentralen Marktplatzes Djemaa el Fna. 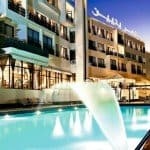 Unterbringung: In komfortablen erstklassigen 4-5 Sterne-Hotels und einige Riads, ehemalige marokkanische Paläste, umgebaut in kleine luxuriöse Boutique-Hotels. Scott and Chano were the greatest hosts. 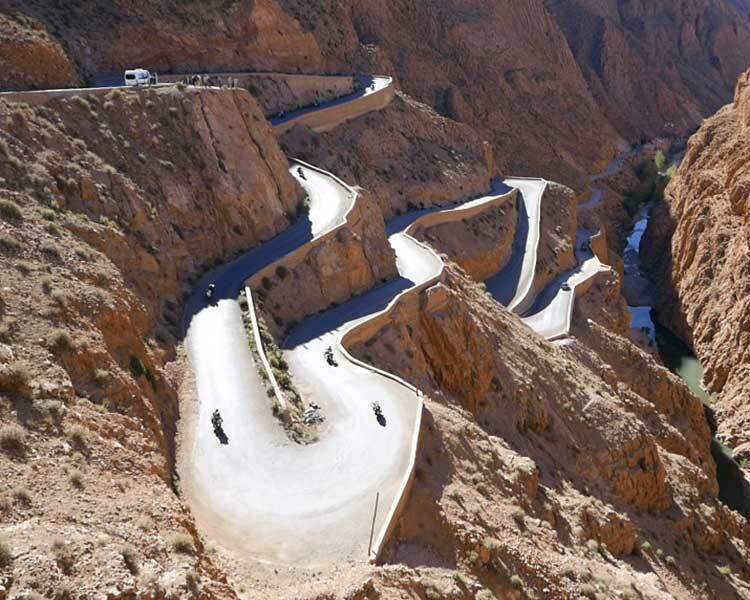 They obviously have tried it from all angles and this particular route encompassed just about everything, a superb cycling experience. 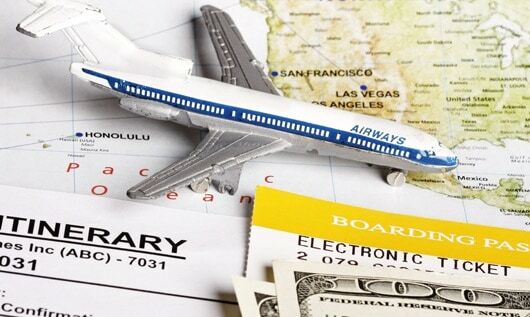 As for problems, the only one I had was keeping my credit card in my wallet! 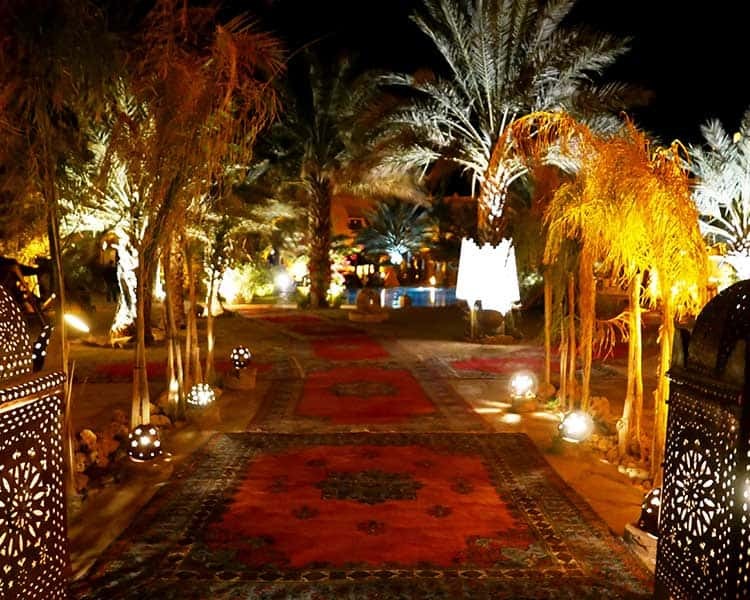 There are deals in Morocco like you will not believe...fabulous rugs, leather, silver. And the best orange juice in the world! 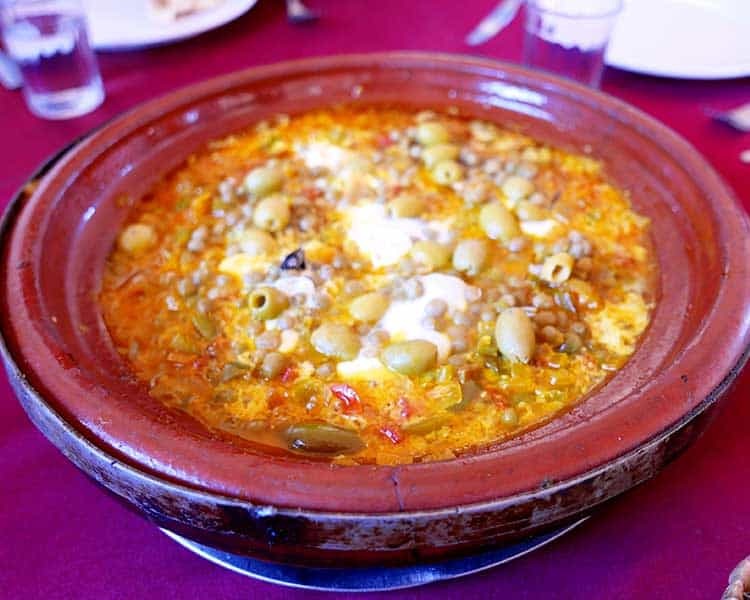 Even though the tour is primarily of Morocco, the first and last days in Southern Spain were fantastic. The mountains of Southern Spain are spectacular. 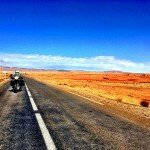 First off, this was my first organized tour on a motorcycle, and after countless hours of searching the internet for a tour, I zoomed in on IMTBike and began to make inquiries not only with them directly, but with former customers...everyone spoke very highly of IMTBike, so I booked the Moroccan Tour. I couldn’t have been more pleased The tour is everything they said it would be and more. Scott and Chano were our guides, and every aspect of our tour went very smoothly. We had a very diverse group of 10, and everyone got along like we were lifetime friends. 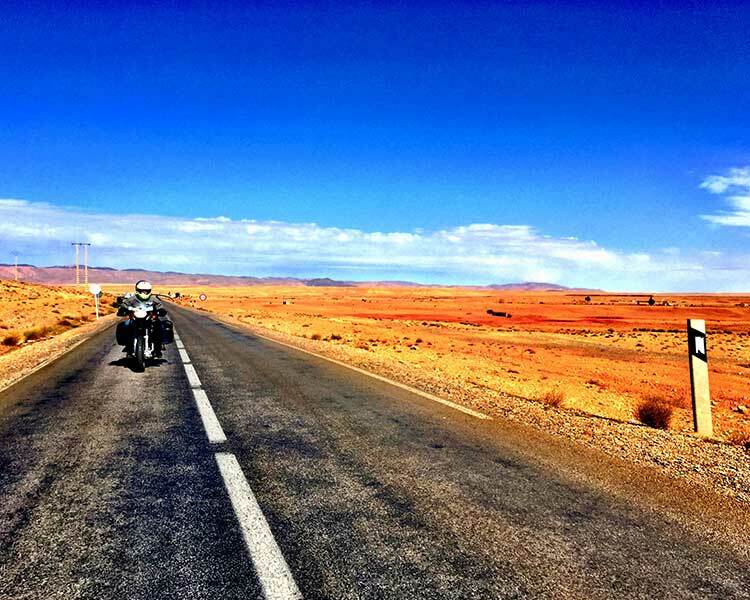 Morocco is a country like no other, and every day brought new scenery and riding challenges....you are allowed to go at your own pace and enjoy the views. All the hotels we stayed at were first class, and the food was excellent. 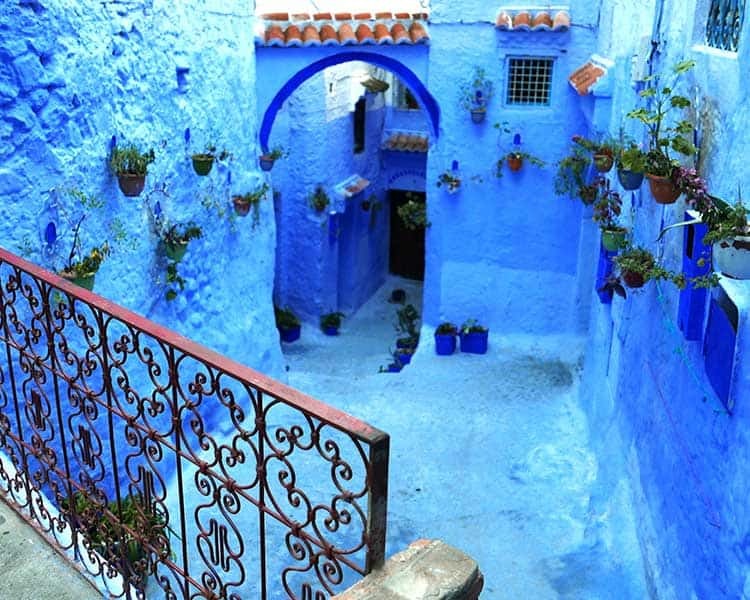 I was pleasantly surprized how warm and open the Moroccan people are and Morocco is a very safe country to travel in. Scott and Chano made sure we were all happy each and every day, and I can’t wait to schedule my next tour with them! 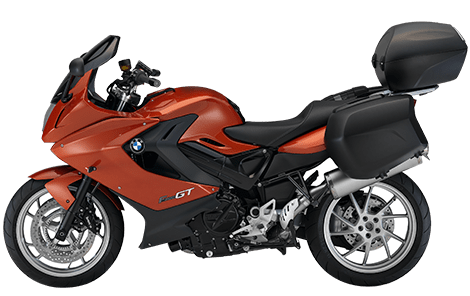 Thanks, IMTBike!! Scott, Chano y Roger ... ya en Madrid, de nuevo agradecer la organización y gestión del viaje a Marruecos. 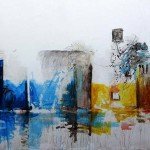 Ha sido una experiencia impresionante, tanto en los sitios visitados como en la compañía. Ha cumplido al 100 % expectativas. 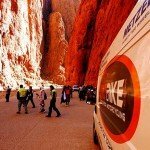 Esperamos, cuando alguien se quiera volver a quedar con los niños dos semanas, repetir con IMTBike en algún otro destino. Scott, excelente gestión ... Chano, excelente organización y Roger excelente logística. Lo dicho ... nos veremos de nuevo. Gracias por todo. 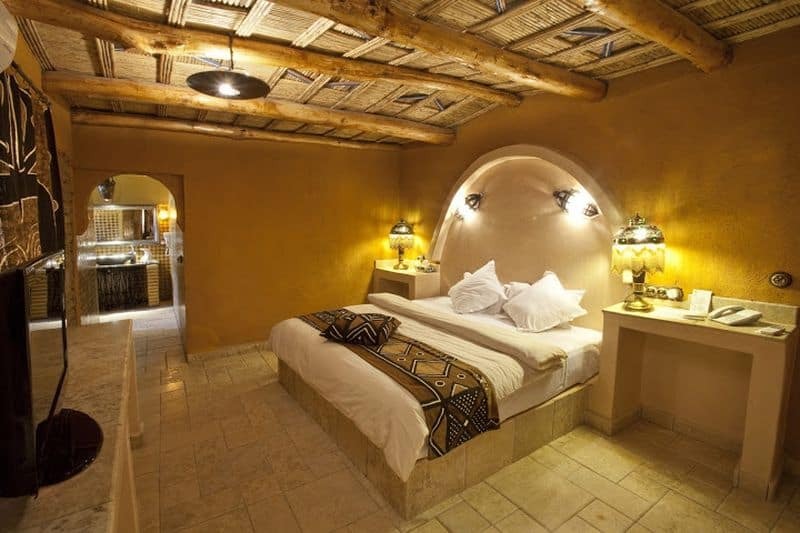 Scott and Roger were very well organized and made us feel very comfortable with them. 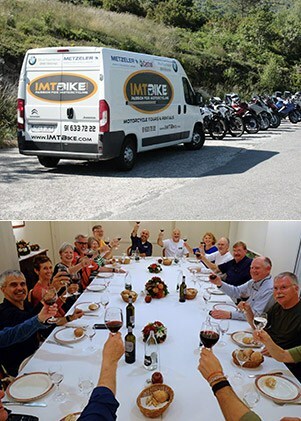 I would say that first of all the IMTBike team has passion for exploring, for diversity, for people and places, for culture and then for motorcycling. 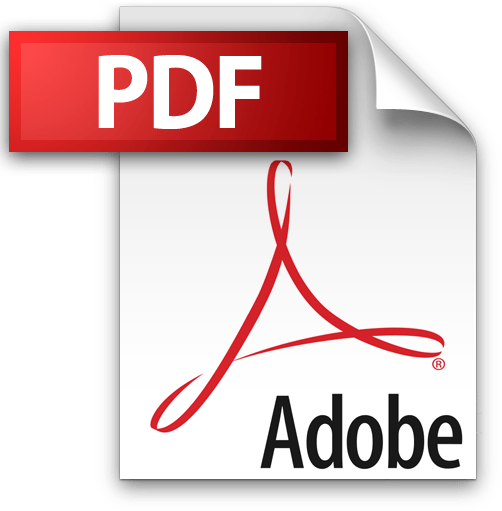 I am highly recommending having aside an IMTBike guide. 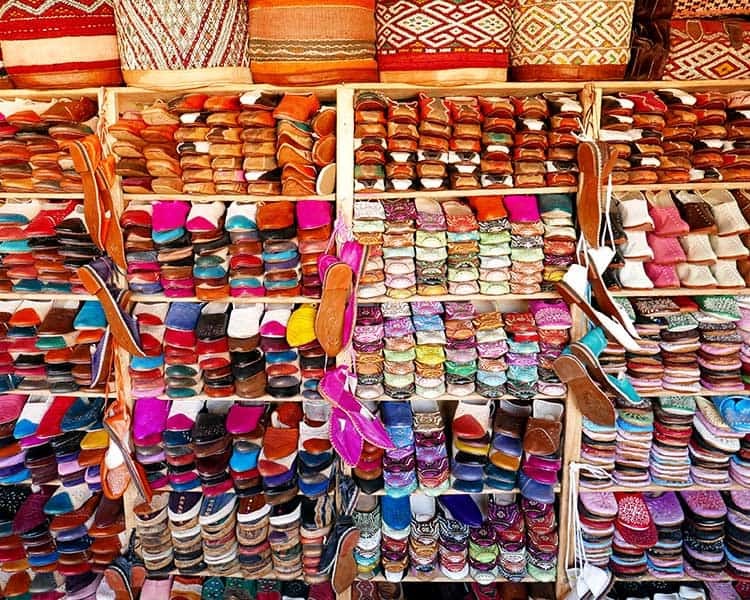 Whoever came up with Magical Morocco was right on the mark, it was an awesome adventure and far exceeded all our expectations! 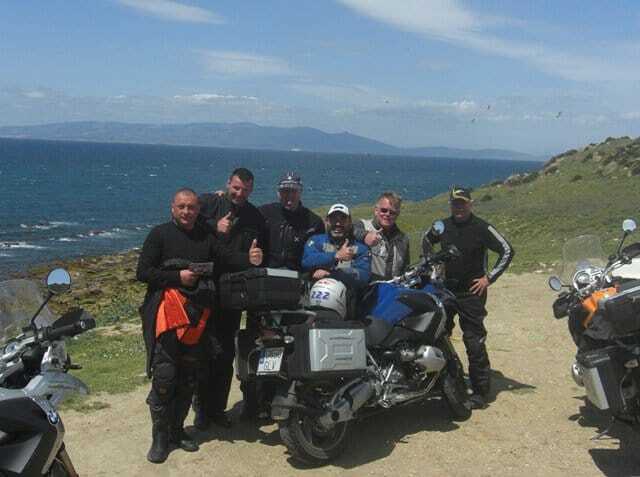 Scott and Slim and our fellow bikers made for a most memorable time and I still chuckle to myself as I remember moments or see photos! Everyone rocked!! One of the highlights (and there were many) was quad biking in the desert...it was just an amazing experience! We had no idea what to expect and every day was an adventure and Scott certainly did have some surprises for us!! Thank you so much and look forward to the next adventure!!! 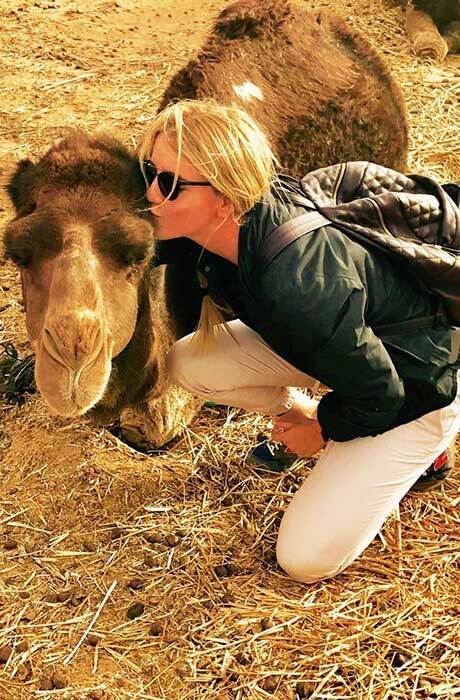 Magical Morocco Tour - This Tour Rocked! This was one of our best trips ever! 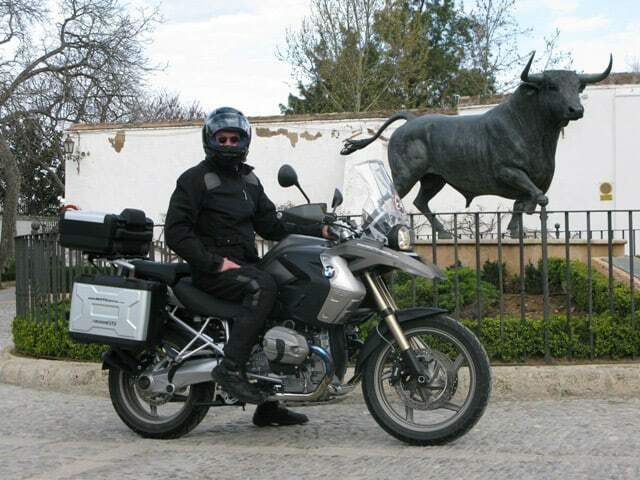 Very well organized from beginning to end, beautiful scenery, amazing roads for exciting motorcycling, culturally very interesting cities, fancy hotels, great food and wonderful people! 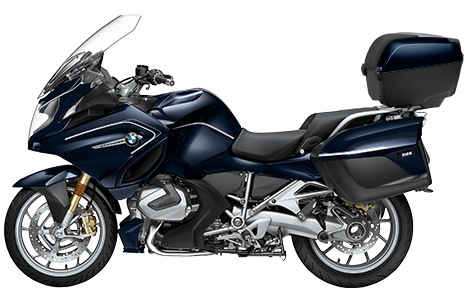 The motorcycles were top notch, no older than 1 year and in excellent condition. Our tour guides Scott and Slim did a superb job, we always felt safe and well taken care of. 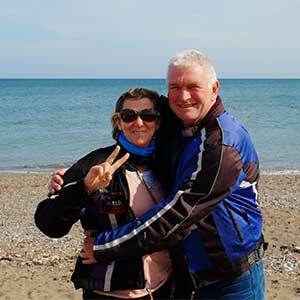 Our fellow riders were some of the nicest people we have ever met and they made the trip truly special. Would do it again in a heartbeat, thanks to our guides for an unforgettable adventure! Da muss man mit, voll sackstark!!! 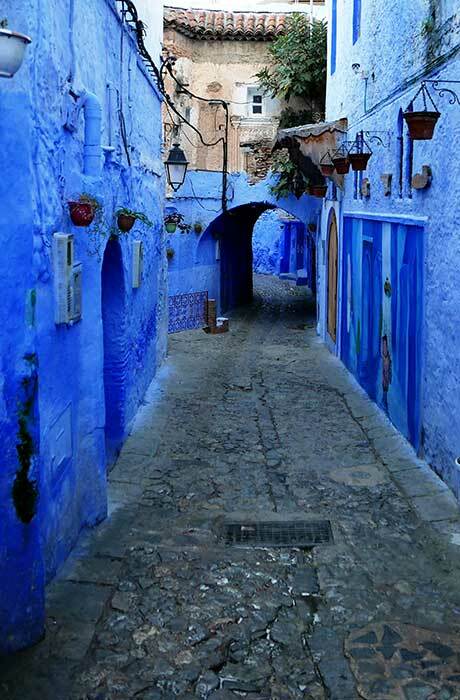 The Magical Morocco tour was wonderful. 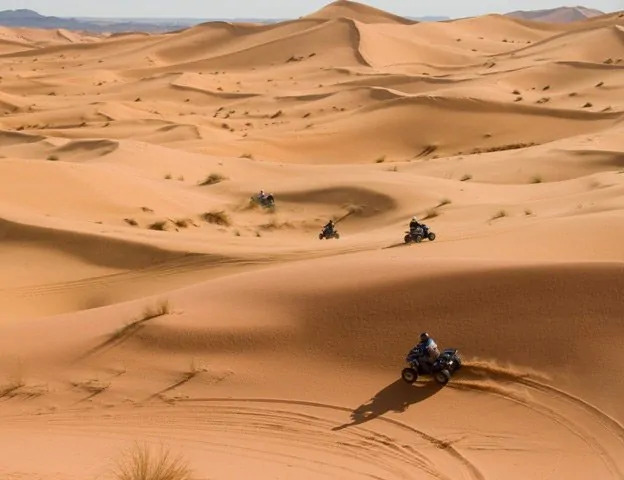 The riding was awesome on the roads and the dunes. 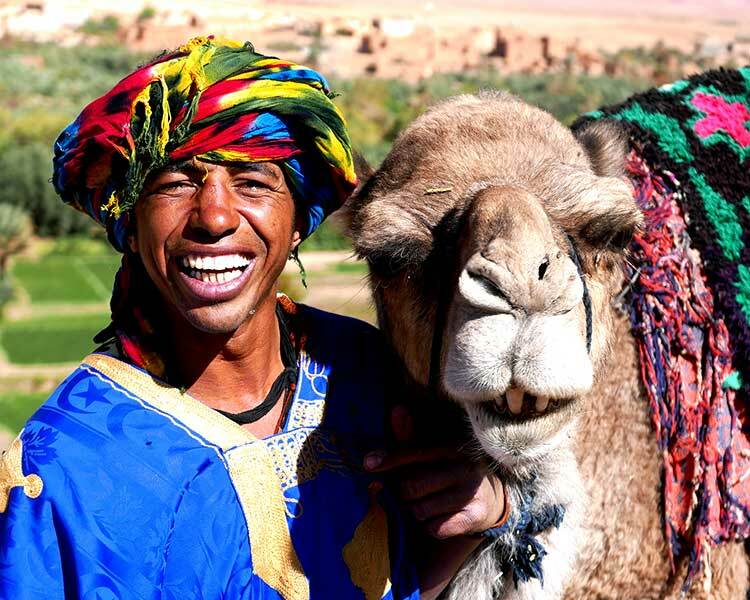 The trip plan shows a comprehensive view of Morocco and its people. The tour members were extraordinary ! We cannot remember when we laughed so much and so hard. We made many new friends which we will treasure. 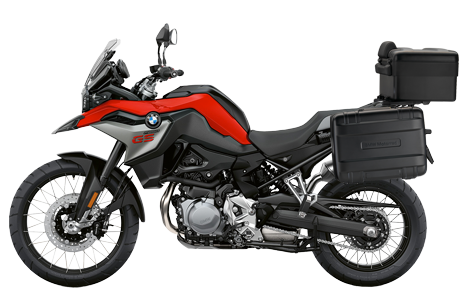 Great riding everyone! Chano and Mikel, thank you for a great trip. All our experiences with IMTBike have been great. 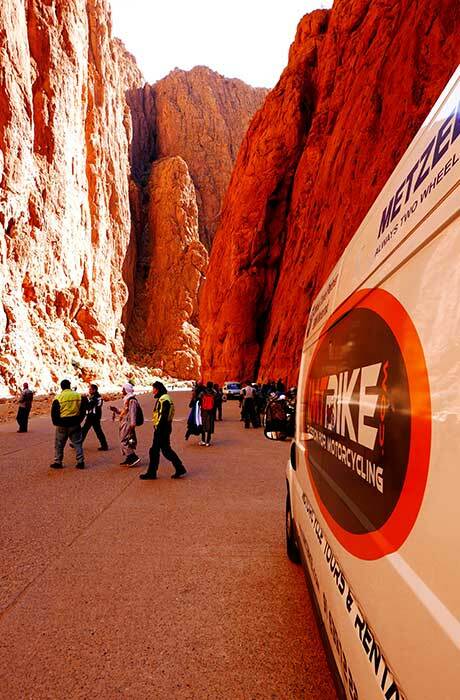 Thank you to all IMTBike staff for you dedication. Well done. Fantastic adventure with the best guides ever. 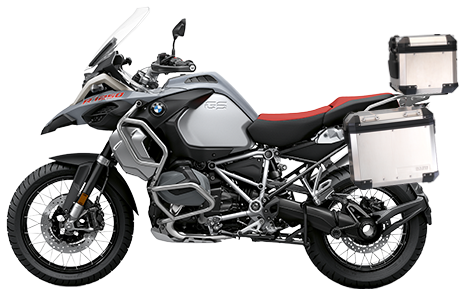 Would recommend IMTBike to anyone looking for adventure on motorcycles. Thanks Chano, Gustavo and Scott. Well it’s difficult to know what to say. I have just had the most fantastic time and incredible experience. It’s taken two days to come back down to earth. The tour exceeded my expectations by such a margin and Roger and Christophe were just excellent in every way. 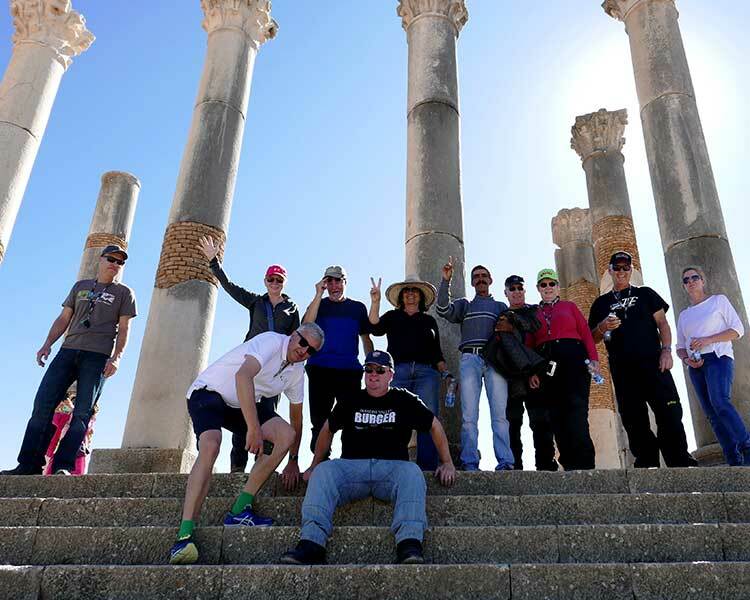 We had a great group and the friendships formed were so rewarding and such an unexpected bonus. 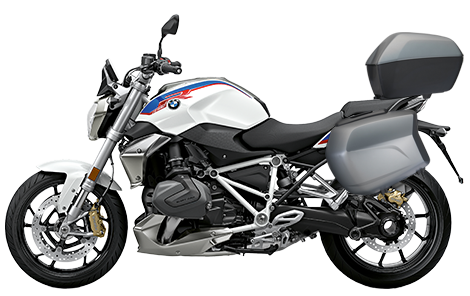 Well done IMTBike, highly recommended. 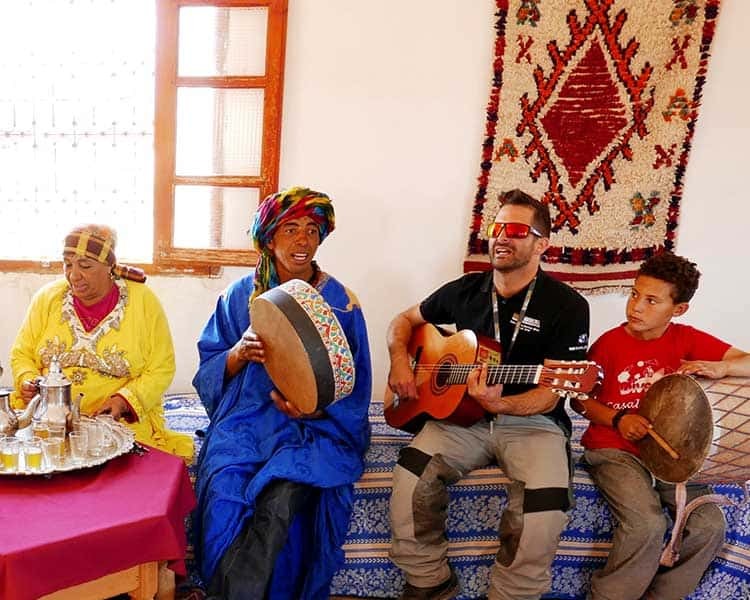 Morocco Tour - An Increible Experience! 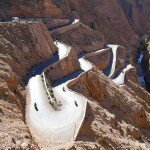 Nie hätten wir im gedacht, dass Marokko so spektakuläre Landschaften, tolle Strassen und viel Fahrspass (viele Gebiete mit ganz wenig Verkehr) und freundliche Leute vereint, so dass sich das Land bestens für eine Motorradtour eignet. 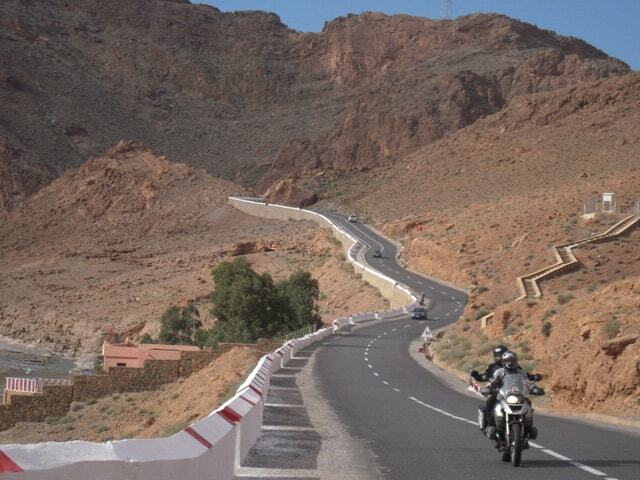 Im November 2014 haben wir als Fahrer und Passagierin an der „Magical Morocco Tour“ von IMTBike teilgenommen. 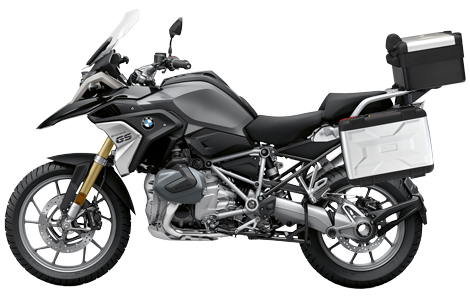 Auf einer sauberen BMW F800 GT mit guten Reifen sind wir mit der Gruppe in Malaga gestartet und haben einen ersten Tag auf kurvenreichen spanischen Bergstrassen bester Qualität erlebt. 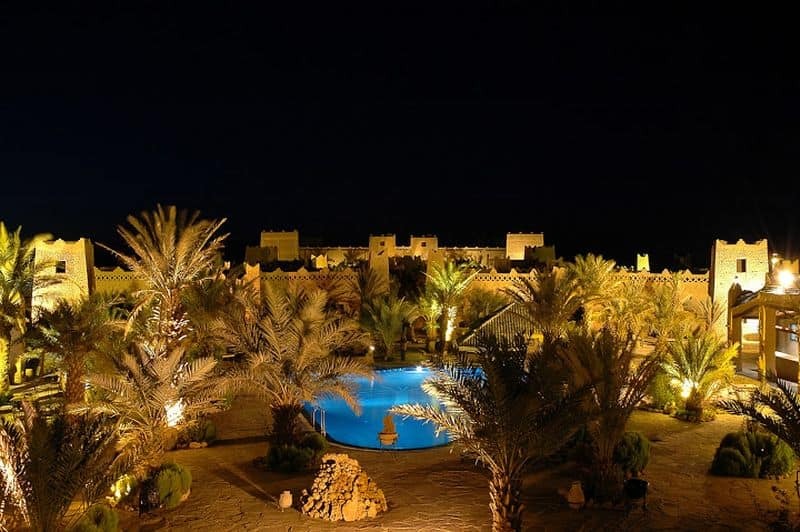 Jeder in der Gruppe konnte sich einstimmen und im passenden Tempo durch die wunderschöne andalusische Landschaft fahren. 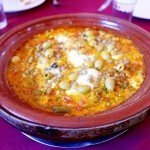 Bereits am Vortag hatte sich die Gruppe in Malaga getroffen und einen fröhlichen Abend bei gutem Essen und spanischen Wein verbracht. 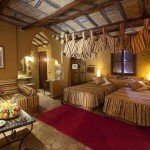 Am Ende des ersten Fahrtages erwartete uns ein schönes Hotel in der Nähe des Fährhafens, so dass wir am nächsten Morgen rasch bereit zur Überfahrt mit der Fähre „nach Afrika“ waren. 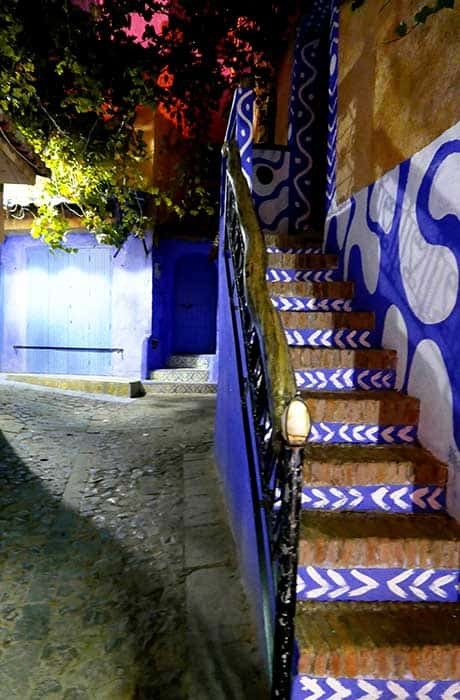 Nach einer von unseren beiden Tourguides gut vorbereiteten Einreise nach Marokko ging es der Küste entlang und bald danach auf sehr guten kurvenreichen Bergstrassen nach Chefchaouen, wo wir ein wunderschönes Hotel in der Altstadt beziehen konnten. 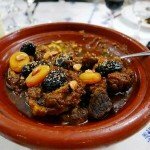 Der erste Abend in Marokko verlief so angenehm und bei ausgezeichnetem Essen, wie die folgenden Abende. 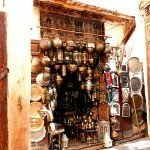 Die Marokkaner, die wir getroffen haben, und dies gilt für die ganze Reise, erwiesen sich als freundliche und sprachgewandte Leute. 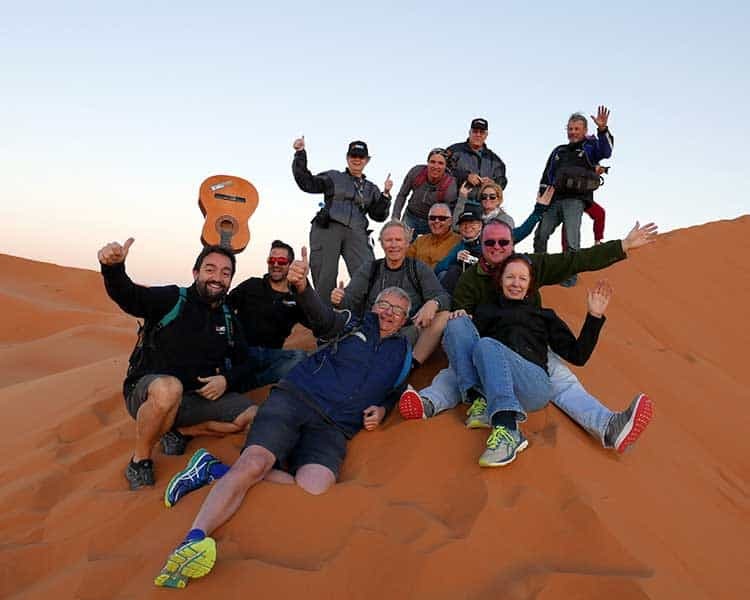 Am nächsten Tag führte die Tour über weitere Bergstrassen von ausgezeichneter Qualität nach Fes (sehr sehenswert) und in den folgenden Tagen an den Nordrand der Sahara. Traumhafte Wüstenlandschaft und tolle Hotels, fast kein Verkehr und ausgezeichnete Strassen wurden uns geboten. 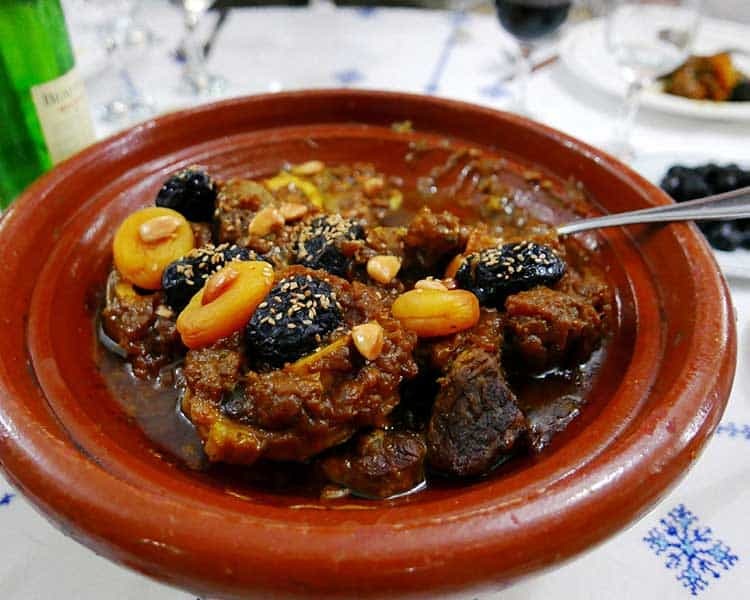 Nie hätten wir gedacht, dass Marokko so vielseitig sein kann! 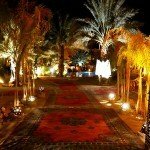 Nach dem Aufenthalt in Zagora, dem südlichsten Punkt der Reise ging es nach Marrakesch. Was für eine lebendige Stadt, absolut sehenswert und wir haben so gut gegessen... 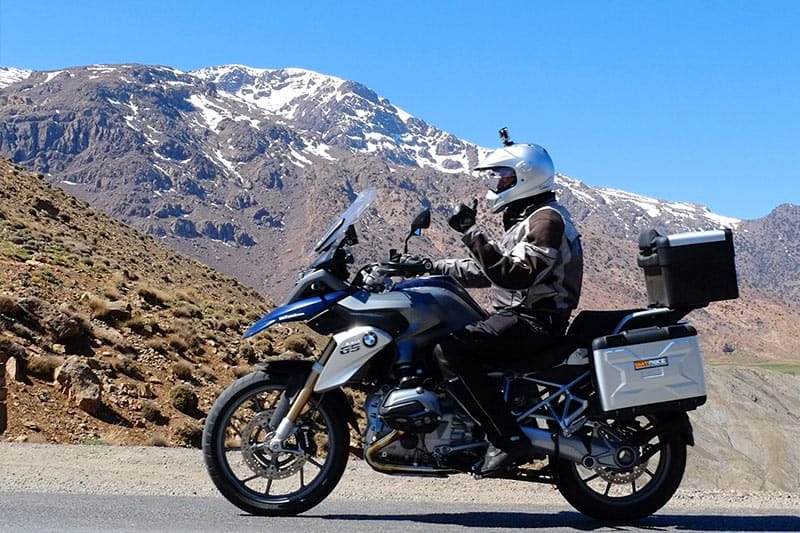 Die Tour führte weiter über Rabat und Tanger zurück nach Spanien. Es blieben unvergessliche Eindrücke. 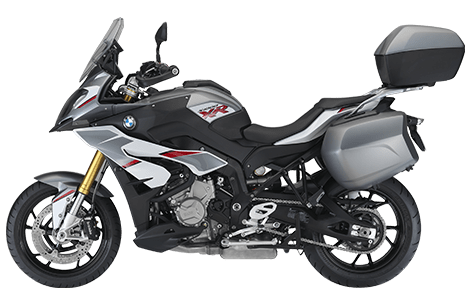 Die Tour war prima organisiert und durchgeführt, die Guides von IMTBike sehr professionell aber dennoch „locker drauf“. Sehr empfehlenswert. Our guides Martin, Chano and Javi knocked themselves out to ensure a safe, memorable time. 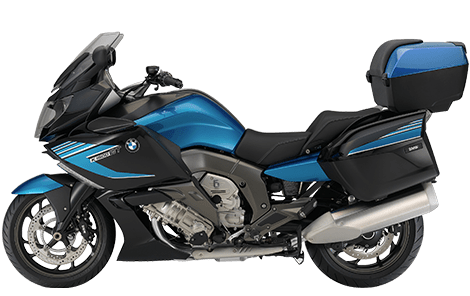 The efficient handling of border crossings, hotel arrivals and departures, gas stops, meals and celebrations, on top of loading/unloading luggage, caring for bikes, is itself worthy of appreciation. But what really set this tour apart for many of us was the camaraderie among Martin, Chano and Javi and the passion that each brought to the overall experience. The result is hard to put into words. Nancy described it as feeling embraced in a way that she has not experienced on previous tours. 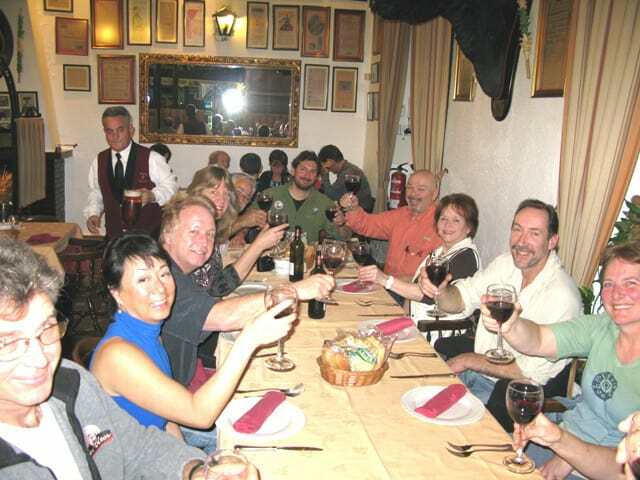 At the farewell dinner, Anthony suggested that IMTBike "not change a thing." For my own part, I felt like a family was parting ways at the end of the trip. I made the acquaintance of some great people that I look forward to keeping in touch with and visiting in the future. We were really impressed by both Sergi and Ryan, totally professional, very organised but still heaps of fun. They both went out of their way to make sure everyone in the group was happy, being encouraged & looked after, above and beyond their duty. At all times they were calm and efficient, managed change of plans (due to snow) well. We are aware that there was lots & lots of extra work being done in the background to make sure everything went to plan. 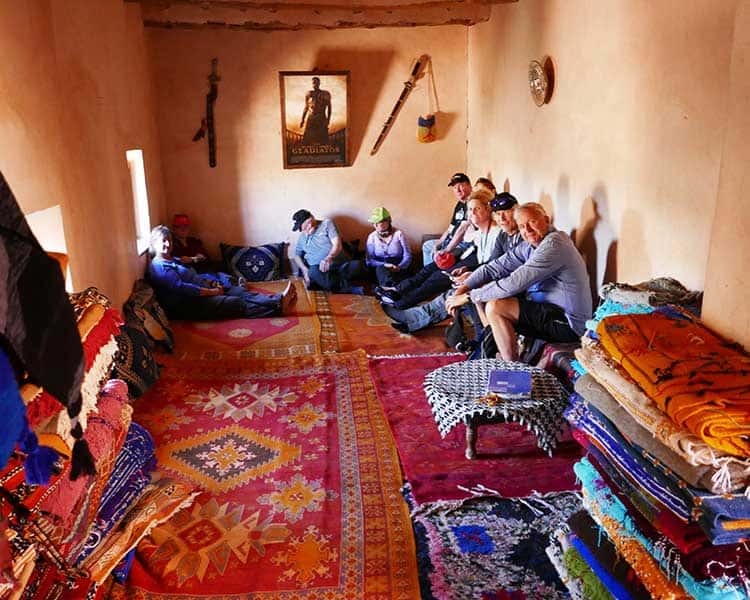 Clearly Sergi & Ryan both have good language skills and great understanding of cultural issues and challenges travelling with a group of people in Morocco, particularly when the group have a wide range of experience travelling. 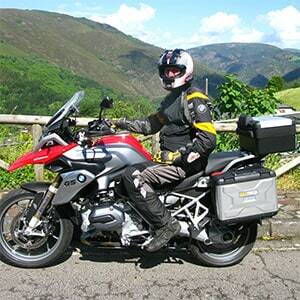 We would recommend IMTBIKE to anyone interested in a motor bike tour. 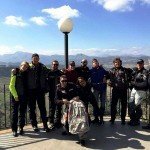 Unser erster Fahrtag wird uns aus Malaga zu den berühmten andalusischen weißen Dörfern in das Bergland mit seinen Naturparks Sierra de Grazelema und Sierra de las Nieves führen. Sie werden eine fantastische Fahrt auf kurvenreichen Straßen genießen und einen herrlichen Ausblick auf die uns umgebende Gebirgskette haben. Die Landschaft bietet einen malerischen Blick auf Korkeichen- und Kastanienhaine. 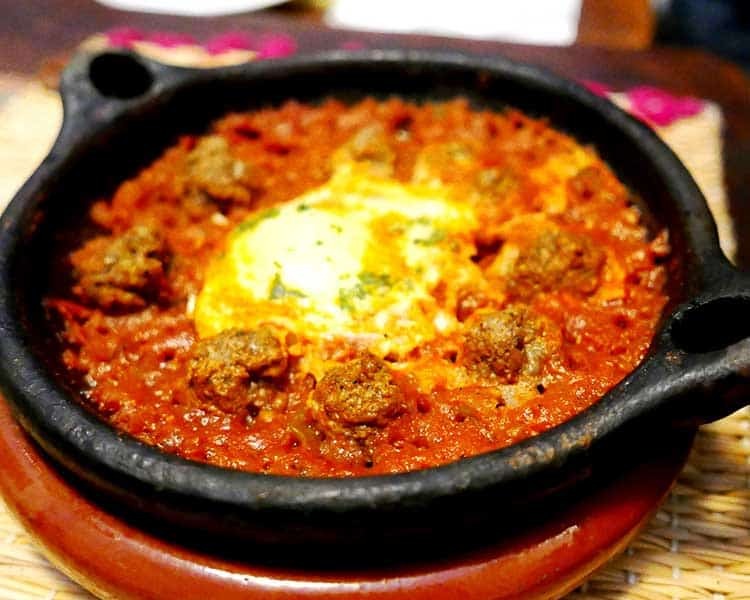 Ronda ist der perfekte Ort für einen Spaziergang und ein wohlverdientes Mittagessen. Ronda ist reich an Geschichte. 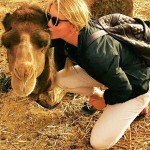 Sie ist mit ihrer Mischung aus nordafrikanischen und spanischen Traditionen ein sehenswertes Beispiel vieler andalusischer Städte. Ronda ist auch die Heimat der ersten Stierkampfarena in Spanien. Nach unserer Pause geht es weiter Richtung Süden ans Meer in die Hafenstadt Algeciras. Sie ist Geburtsort des berühmten Flamenco-Gitarristen Paco de Lucia. Wir nehmen die erste Fähre, die uns über die Straße von Gibraltar auf den afrikanischen Kontinent bringt. Von der Fähre aus können Sie herrliche Fotos von dem Felsen von Gibraltar aufnehmen. Von der spanischen Enklave Ceuta aus passieren wir die Grenze nach Marokko. Nun kann das Abenteuer beginnen! Wir fahren für einen ersten Stopp nach Tetuan, erfrischen uns mit einem ersten Mittagessen und Minze-Tee. 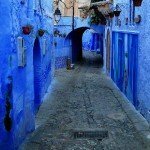 Danach fahren wir auf kurvigen Bergstaßen des Rif Gebirges in das malerische Bergdorf Chefchaouen, wo wir in einem Riad-Hotel mitten im Herzen der Medina unsere erste Nacht in Marokko verbringen. 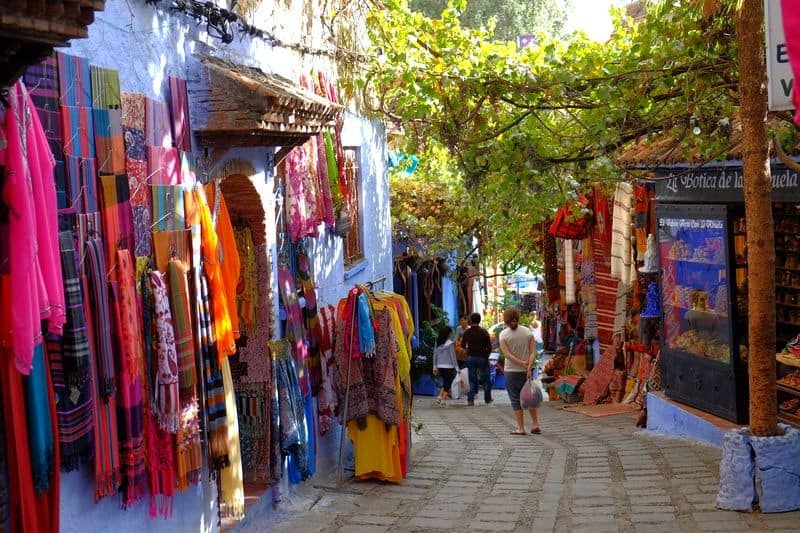 Der Norden Marokkos ist mit seinen sanften Hügeln und Feldern voller Winterweizen erstaunlich grün. 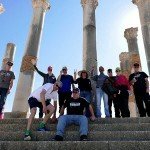 Wir fahren über serpentinenreiche Hänge bis zu den römischen Ruinen bei Volubilis. Wir essen zu Mittag und besuchen den westlichsten Außenposten der Römer. 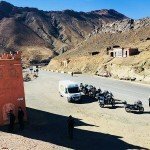 Danach führt uns unser Weg nach Fez, in die älteste der vier Königsstädte Marokkos. 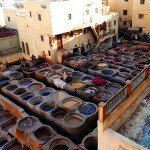 Heute ist unser freier Tag und wir haben für Sie eine spezielle Tour durch die Medina von Fez organisiert. In Hinblick auf die Fläche ist sie die größte mittelalterliche Altstadt der Welt mit über 13.000 verwinkelten Gassen! 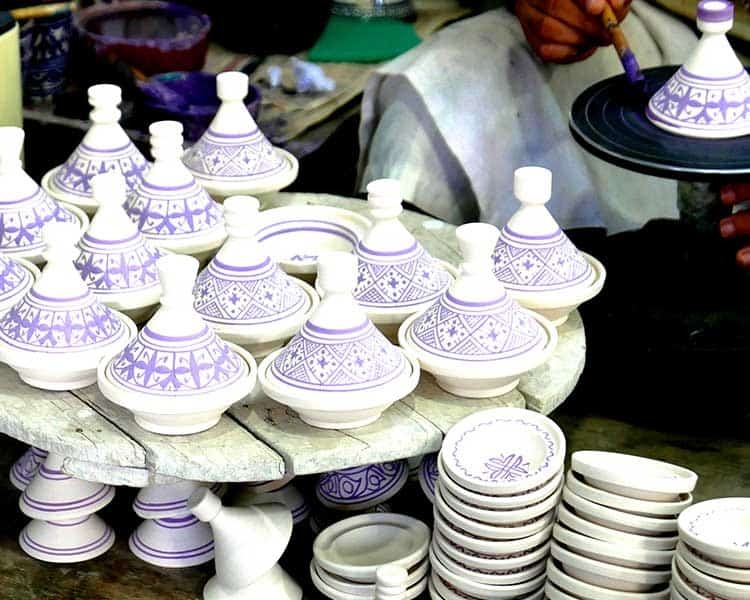 Das tiefe Blau der Keramik verführt zum Kaufen. 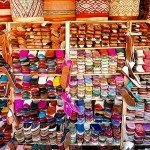 Traditionelle Ledergerbereien, Färbereien, Teppichmanufakturen und Märkte mit allen erdenklichen Lebensmitteln berauschen unsere Sinne. Wir fühlen uns tausend Jahre in die Vergangenheit zurückversetzt. 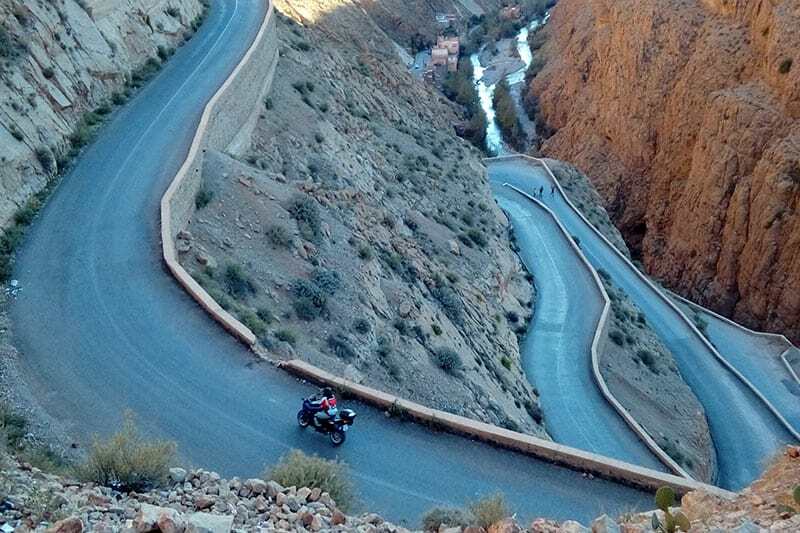 Beginnen wir unsere heutige Tour mit einer Fahrt durch das schneebedeckte mittlere Atlasgebirge, und kommen in den roten Sanddünen der Saharawüste im südlichen Marokko an. 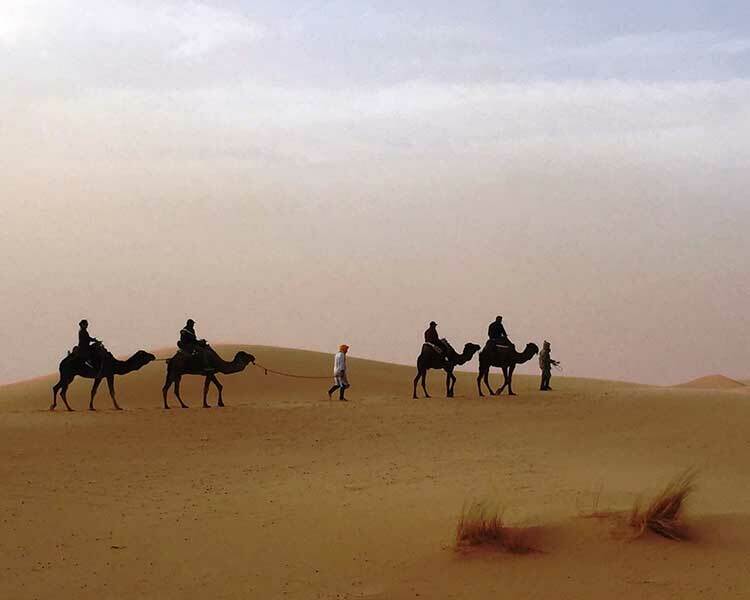 Die Landschaft verändert sich dramatisch, vom herrlichen Grün des Bergpasses bis zur ocker gefärbten Hochgebirgswüste mit seinen Palmen und Oasen und den beigen Sanddünen der Sahara. Soviel atemberaubende landschaftliche Vielfalt an nur einem Tag! 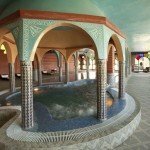 Wir können unseren freien Tag am Pool oder in einem Hamam genießen oder zu den rot gefärbten Erg Chebbi Sanddünen fahren. 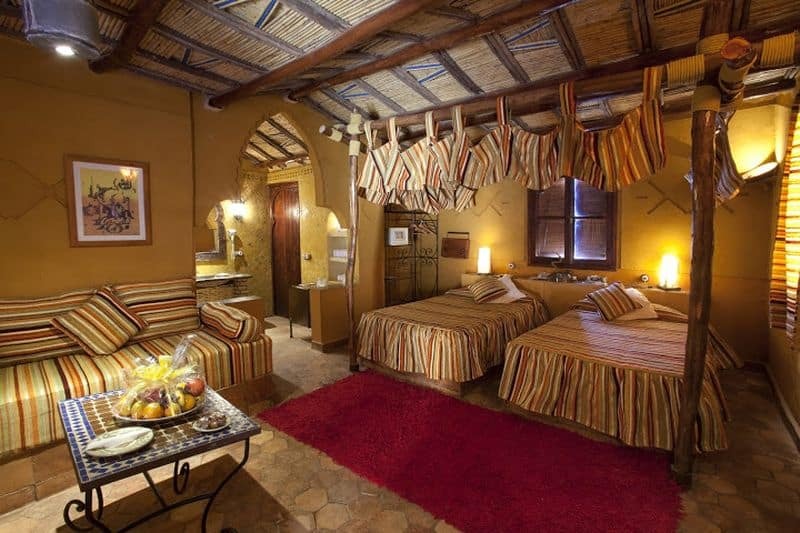 Für maximalen Spass bietet das Hotel hierfür 4x4 Land Cruiser, Quads oder Dirt Bikes an. Oder wie wäre es mit einem Ausritt auf einem Kamel? Auf keinen Fall sollten Sie sich den Sonnenuntergang von der höchsten Düne aus entgehen lassen. 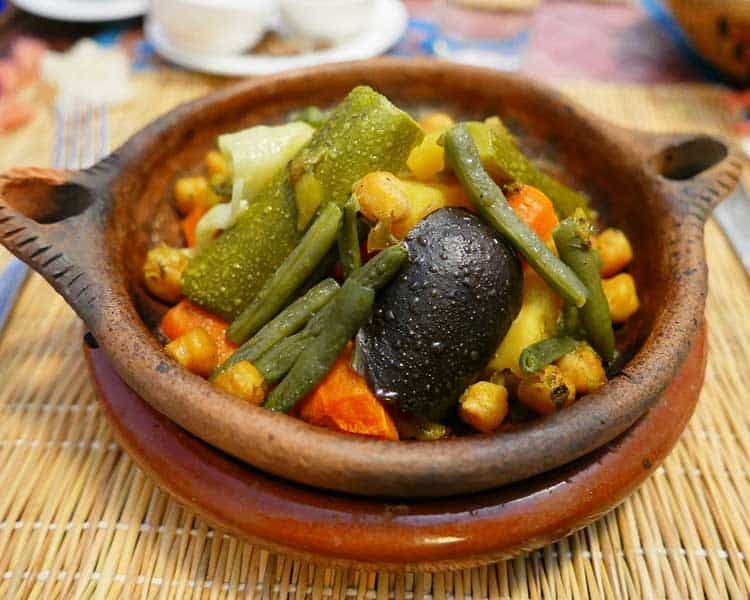 Danach krönen wir diesen erlebnisreichen Tag mit einem besonderen Essen in einem typisch marokkanischen Nomadenzelt. 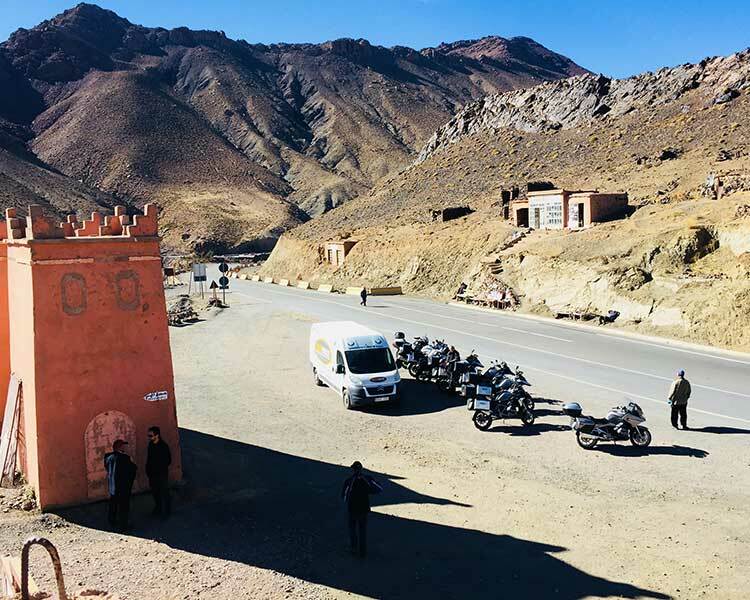 Auf der heutigen Tour bekommen Sie Kamele zu sehen, die in der Wüste umherziehen und die berühmten Kasbah Dörfer mit ihren mit Lehmziegeln bedeckten Häusern. Und sollte es zufällig regnen, bekommen wir eventuell sogar einen Wadi zu sehen. Wir werden die spektakuläre Todra Schlucht besuchen und ihre bis zu 200 Meter hohen überhängenden Felswänden bewundern. 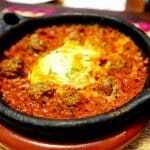 Das ist das Marokko, von dem Sie schon immer geträumt haben! Früh am Morgen fahren wir zu allererst in die Schlucht hinein und fahren dort die vier berühmten Haarnadelkurven, die Sie sicherlich erkennen werden! 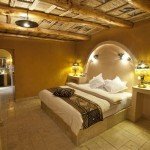 Nach einer Kaffeepause an einem pittoresken Ort folgen wir entlang der Kasbah Route und kommen rechtzeitig in Ait Ben Haddou an für einen nachmittäglichen Besuch. 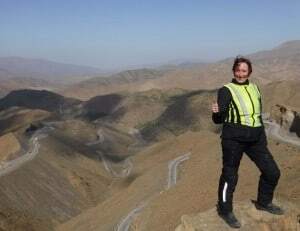 Heute fahren wir unzählige Kilometer Non-stop Kurven zum Tizi-n-Tichka Pass in das Hohe Atlas Gebirge. 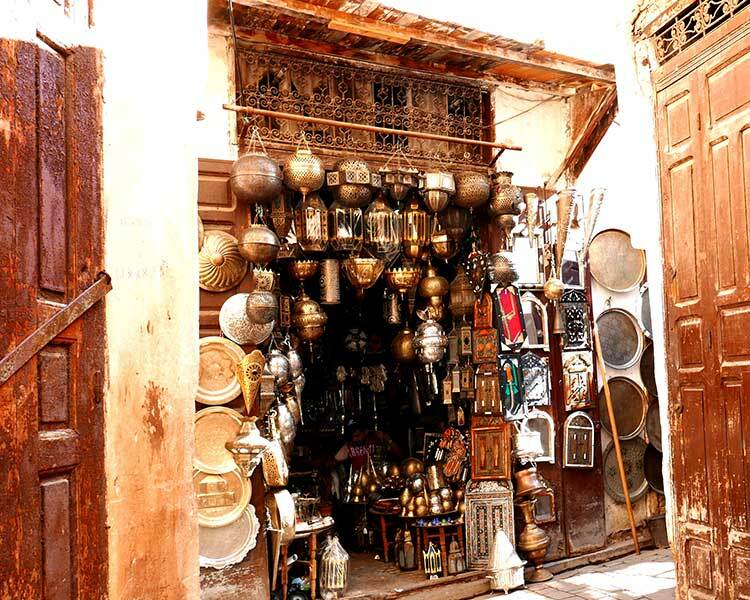 Wir bekommen schneebedeckte Gipfel zu sehen und nehmen eine Kurve und Kehre nach der anderen bis wir in der famosen kaiserlichen Stadt Marrakesch ankommen. Dieser Pass ist der höchste asphaltierte Pass in Nordafrika. Auf der Anhöhe machen wir für ein Foto Halt. 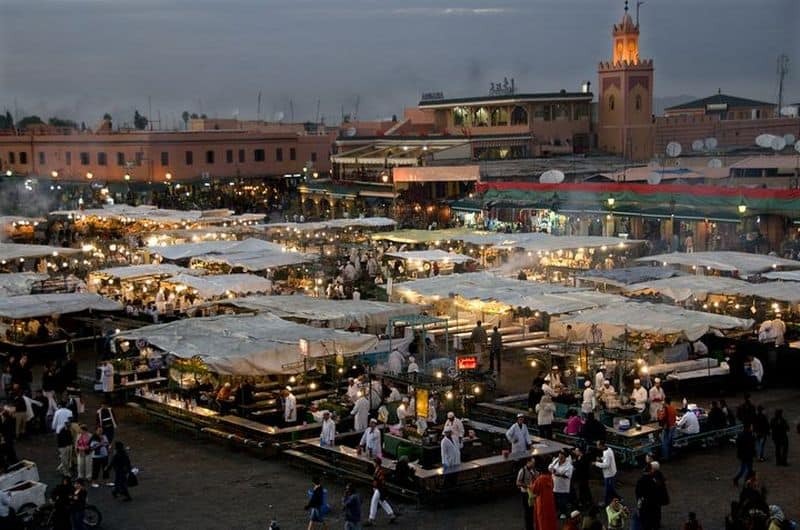 Sobald wir in Marrakesch ankommen haben Sie Zeit für einen Besuch auf dem berühmten Marktplatz Djemaa el-Fna. 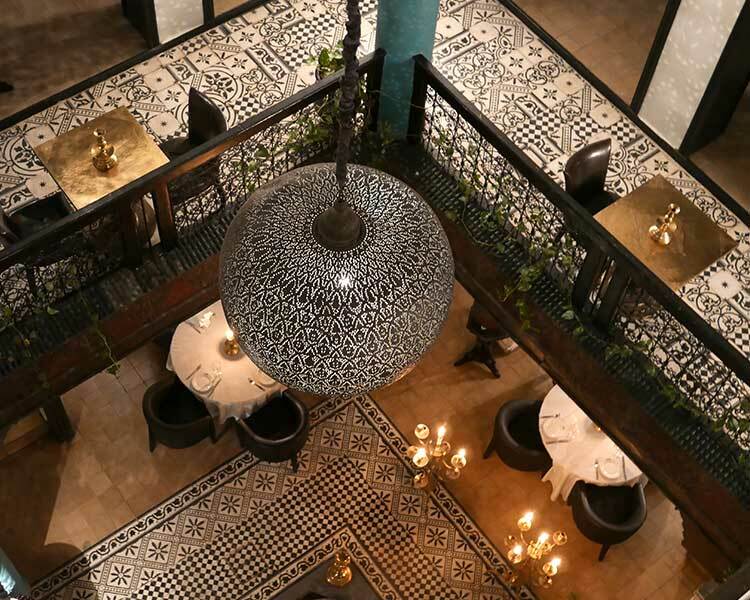 Danach begeben wir uns zum Dinner in ein typisches marokkanisches Restaurant, das sich in einem Medina Haus aus dem 14. Jahrhundert befindet. 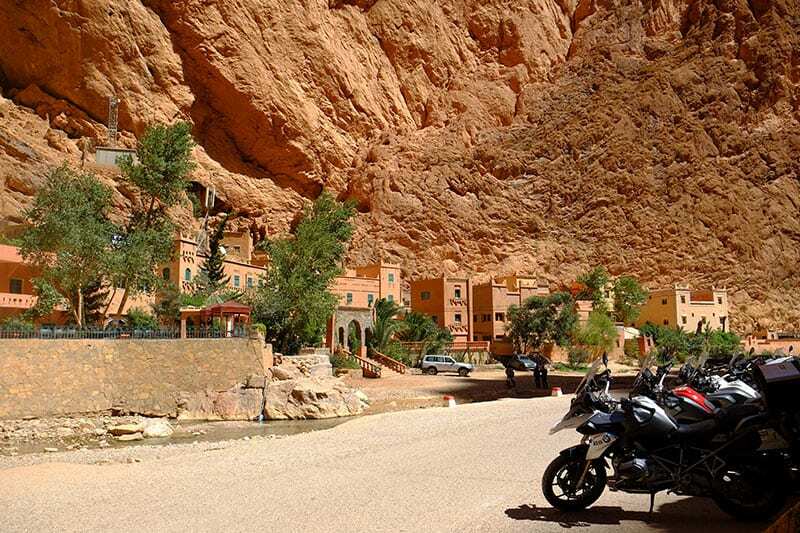 An Ihrem freien Tag können Sie morgens mit dem Motorrad in das romantische Fischerdorf Essaouira fahren, danach die Medina und das historische Marrakesch erkunden und den Nachmittag am Hotelpool relaxen. Sie haben die Wahl! 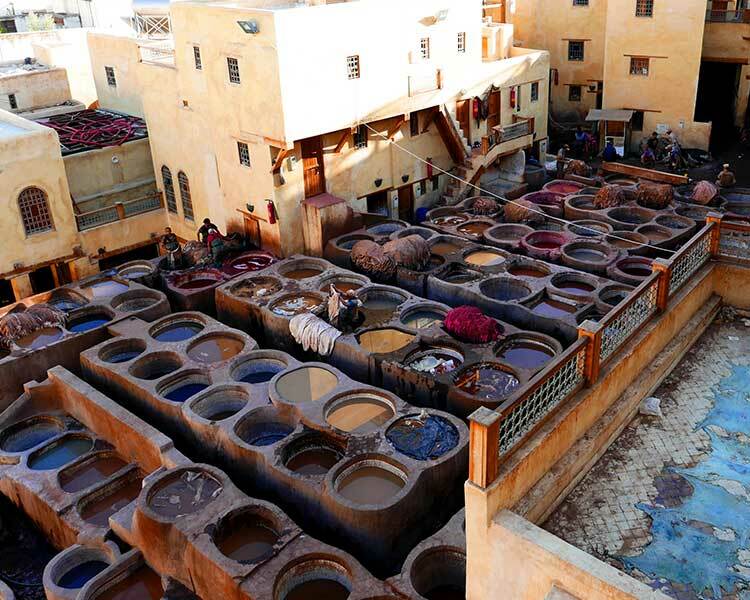 Auf der Straße, die uns aus Marrakesch führt, fahren wir durch die fruchtbarste Landschaft Marokkos. 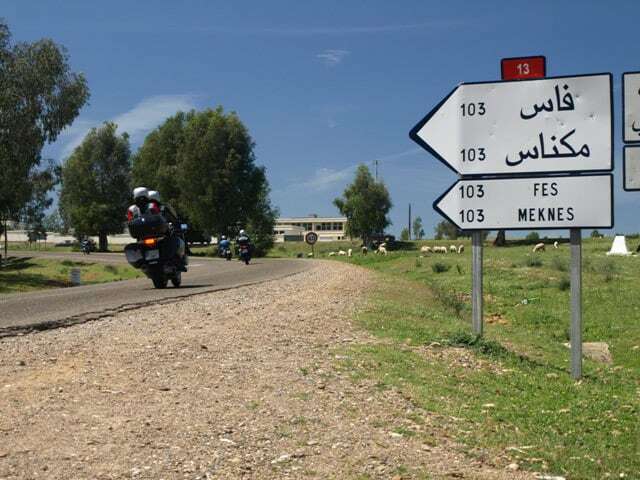 Danach führt uns unser Weg wieder in die Kiefernwälder und Berge und wir dürfen weitere Kurven genießen, bis zu unserer Ankunft in Rabat, der Hauptstadt von Marokko. 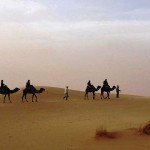 Es geht weiter entlang der Atlantikküste bis nach Tanger. 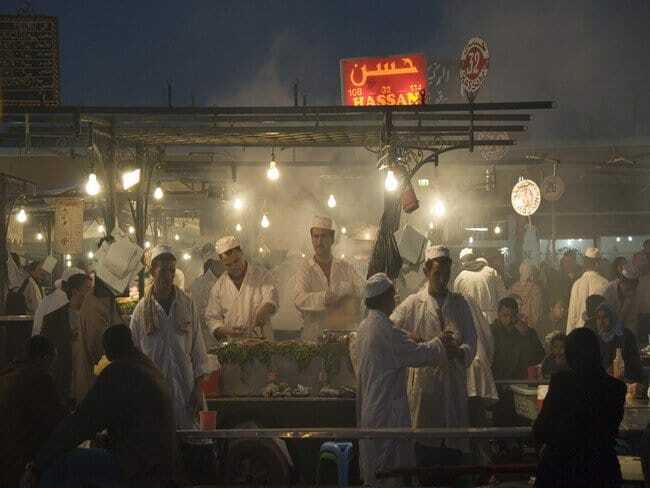 Der Film Casablanca wurde in Tanger, nicht in Casablanca gedreht. 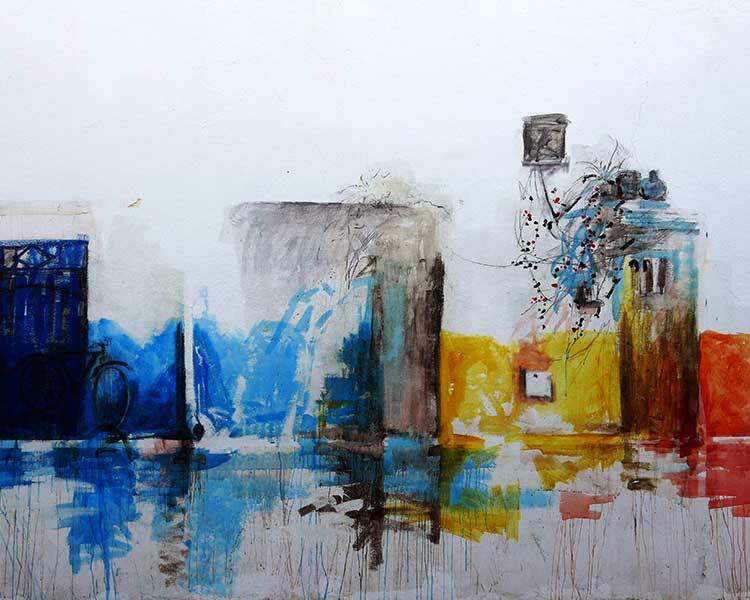 Tanger hat viel Charme durch seine Vergangenheit als Zufluchtsort für reiche Erbinnen, Spione und Dichter der Beat Generation wie Ginsberg, Kerouac und William S. Burroughs. 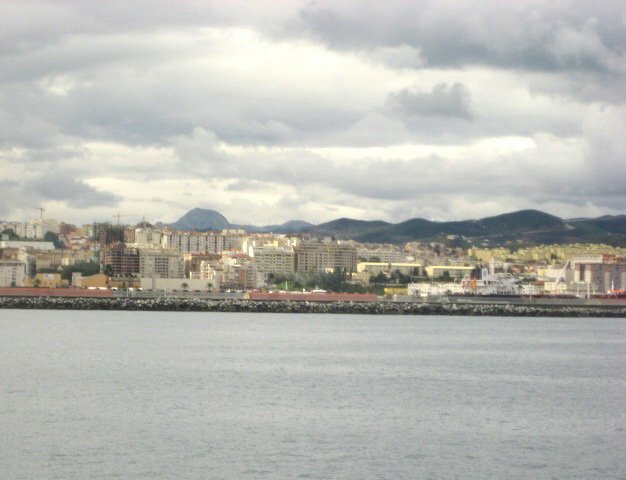 Die Küstenstraße mit ihrem spektakulären Blick auf das Meer führt uns zurück nach Spanien, in die Stadt Ceuta. 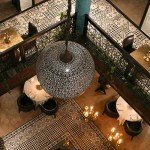 Dort übernachten wir in einem Parador und genießen ein spanisches Abendessen. 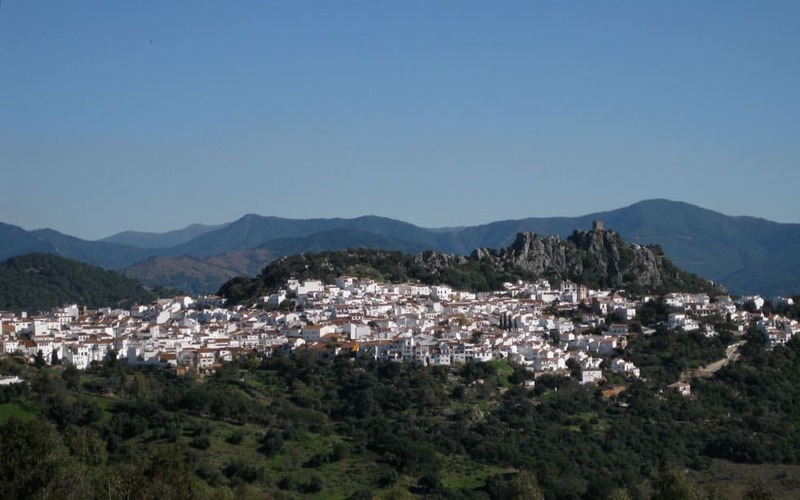 Am vorletzten Tag unserer Reise erreichen wir wieder spanisches Festland und fahren noch einige Kurven im grünen Bergland Andalusiens. 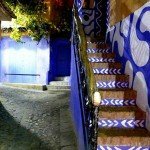 In Malaga haben wir noch ausreichend Zeit für einen Spaziergang bevor wir uns zu einem Abschiedsessen treffen und die erlebnisreiche Reise Revue passieren lassen. Heute machen wir uns auf den Weg zum Flughafen. 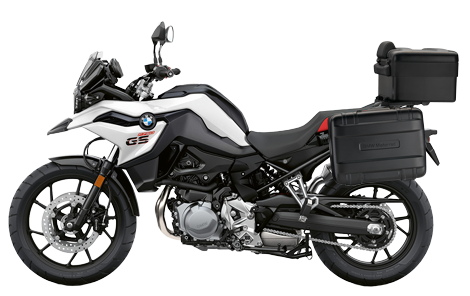 Gerne sehen wir uns bei unserem nächsten Motorradabenteuer wieder! Hasta Pronto!